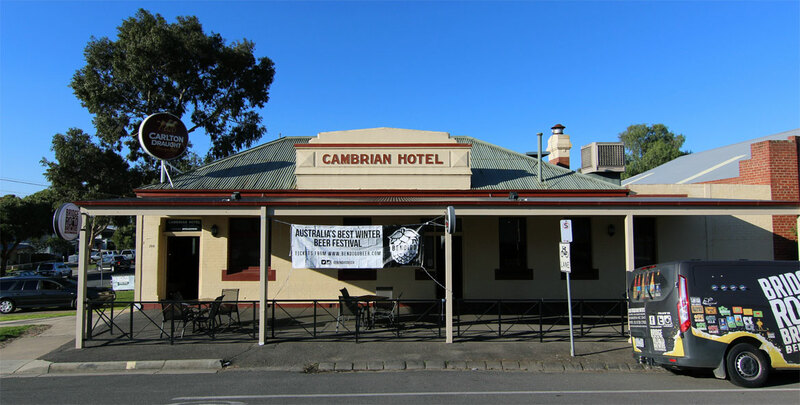 The Cambrian Hotel has long brought a sense of community to its corner of North Bendigo. When it was built during the gold rush in the 1870s, it would fill with thirsty miners, eager to sweat the afternoon away with a cold beer in hand. And, while plenty has changed in the goldfields town over the following century and a half, the importance of being a local in a country town has remained. It was taken over by brothers Andrew and Adam Carswell in 2013, who have focused their attention on creating as many regulars as they can by combining good food and good beer with good hospitality. On the food front, that’s largely been down to one of the brothers, Andrew (above left with fellow staff members Jimmy and Tash), whose meals have caught the attention of locals and helped the pub pick up awards too. But, arguably, it’s the Old World pub's New World beer list that makes the Cambrian really shine. In a regional city that’s become increasingly well known for good beer in recent years, the Cambrian is one of the better established promoters of local breweries. It's long since discarded any beer owned by a multinational from its taps and is a haven for both local beer lovers and an essential stop for anyone from further afield. Its fostering of good beer likely helped the Bendigo pub make the top three in Beer & Brewer's list of Top Regional Beer Venues in 2018. 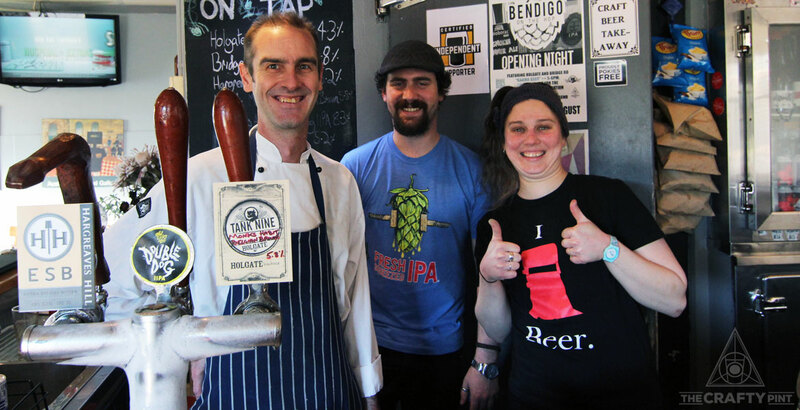 As the owners and staff – not to mention the brewers and beer lovers who stopped in over the past weekend – return to reality post Bendigo On The Hop, we decided to catch up with the Cambrian crew as they notch their half decade. Adam joined us for our Behind Bars series to reflect on how they've revived the old pub. How long has it been since you made the switch to focus on Australian independent beer? I wouldn't say we've ever focused on anything else really, so there hasn't ever been a sudden switch so to speak. We're coming up on our five year anniversary, so it's been a half decade jaunt that started small and has grown into its own North Bendigonian beast. I suppose we hit full throttle three years ago with a fully independent tap list. Were locals quick to embrace the change? Or did they take some convincing? It's been a mixed reaction to say the least. Some people have vowed to never set foot in the door again. Others are just after a beer. There's also plenty who've said they'll never be able to thank us enough. It's also worth mentioning that what a “local” in North Bendigo is has changed even since we've been hanging around. A lot of people have moved to the area since the new hospital opened 18 months ago; young medical professionals and the like, plenty of whom were born overseas, may have studied in Melbourne, and have different ideas of what a “pub” might or should traditionally be. I don't think we've ever really seen it as a conversion thing. The beers we have on tap are the beers we have on tap. We're not forcing anything down anyone's throats. We know what we like, we know what a good beer is, and we've strived to help others develop their own tastes. It's as simple as that. What are bar staff drinking at the end of their shifts? Pretty much what the punters are! There's definitely a preference shared by most of the staff for pales or sessionable IPAs, as we are all extremely responsible human beings and would never, ever miss a 7am group training session *cough*. 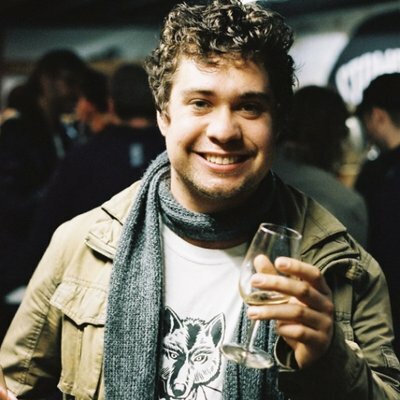 Jimmy our bar manager has youth and stamina on his side and is more likely to be nursing a double or imperial IPA. It's also not uncommon to see any of us with a Berliner weisse or gose in hand – we're into the wide variety of quality independent beers available just as much as anyone else is. 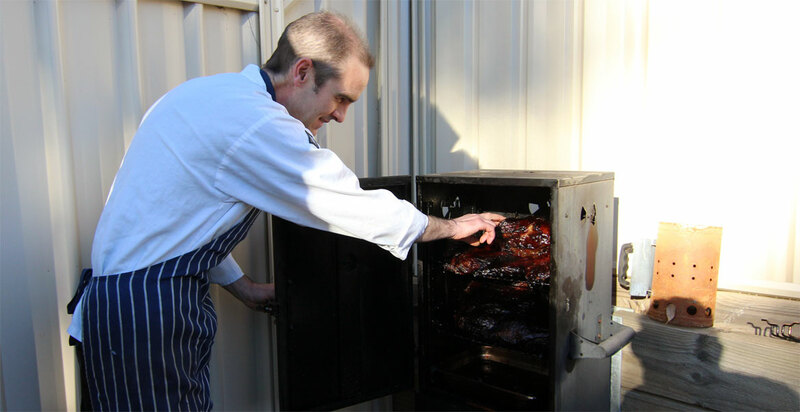 Co-owner and chef Andy Carswell tending to a mountain of slow-cooked pork ahead of the 2018 Bendigo On The Hop festival. Is this reflected in what your customers drink too? Our regular clientele are open to all styles but, generally, we can't hold on to kegs of IPA for long. This winter, people have had a particular taste for milk stouts, as the Bendigo weather tends to have a certain bite that warrants a delicious, rich, thick stout to sit on with a nice, hearty meal. Feedback from bar manager Jimmy, who really is the bloke working at the coalface along with Tash, is that our customers are looking primarily for quality of beverage with a secondary focus on locality. A proportion of customers in the bar might prefer to share a bottle of beer they're a little bit circumspect about, however, anything on tap they'll have at least one pot of to themselves, no matter how strange it might appear to them. 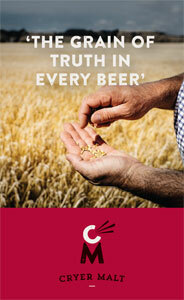 Are your drinkers particularly keen to support local or regional breweries ahead of those from Melbourne or interstate? It's definitely a great selling point to be able to offer beer made literally five minutes drive away and people are also definitely more aware of the benefits in terms of quality and freshness. Other than that, as Jimmy mentioned, people generally look for quality first and where it's from second. Are you finding more people are trying different beers than before? What’s winning over the newcomers? People's willingness to try something new in terms of beer is continuing to increase from year to year. I think it's just been a natural progression rather than there being any one particular reason for this. In a way, so-called “newcomers” are less likely to feel threatened by a beer if it isn't too heavy and isn't too “out there”. On the other hand, a bit of novelty can also do the trick. 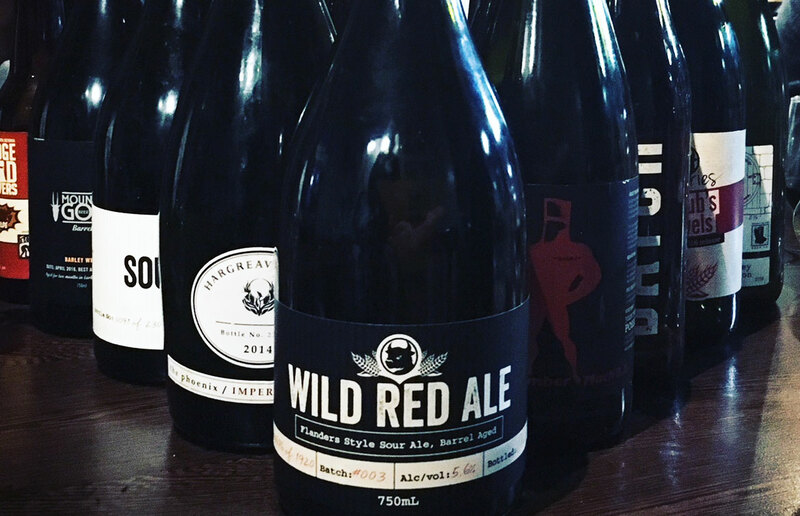 Some of the lineup from the Crafty Cabal bottle share event at the Cambrian on Bendigo On The Hop eve, co-hosted with regional favourites Holgate and Bridge Road. What do you think will be the next big thing in craft beer? Tough question! We've seen a heap of innovation in packaging over the past few years and I'd expect to see that continue, especially towards recycling and eco-friendliness. I also have a hunch that some of our local boys are going to hit it big overseas (independently) in the not too distant future. I don't think I've even remotely answered the question, but that's a couple of small predictions. Finally, any comments on where you think beer is headed? I reckon in the medium term there will have to be a fair amount of consolidation in the local industry. Breweries with a reasonable profile but barely selling a few kegs a week right now will eventually decide it's too much effort for too little profit, even though it's fun and something they're passionate about. “Brewpub” seems to be a bit of a buzzword at the moment, and I can see why. Making a beer where you sell it just makes sense to me, and I think it's a concept we'll see more and more of. I've also seen a few restaurant groups pouring their own signature beers these days, which could be an opportunity for breweries not exactly brewing at capacity by themselves. You can check out the rest of our Behind Bars series here. Know somebody or a bar you think should be featured in this series? The drop us a line here.